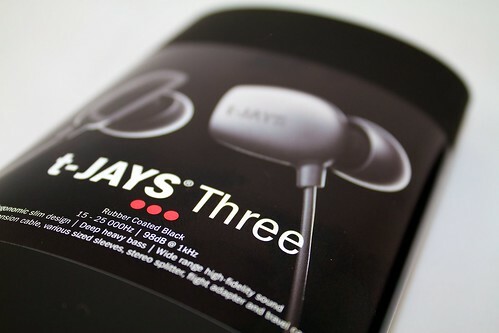 It would appear that I have somehow become “The Headphone Guy” for MacTalk reviewing not one, not two, but SIX sets of headphones from manufacture JAYS in my latest tech rambling review. For those of you interested in the audio phonic delights of headphone glory please jump over and check out the review yourself. Others may be more interested in the photos of the units, which I took myself on my new Canon 7D, these can be viewed in more detail here. You’ve got to love a good headphone’s review don’t you? I’m sure that you and all your friends are in that boat, which means that you’re going to absolutely love my latest review for the MacTalk folk. This round sees me tackle the latest and greatest in wireless audio for your iPod in the form of the “DigiFi Opera S5 Wireless In-Ear Headphones“. Boy that’s a mouthful. I’m not particularly in the habit of writing book reviews, in fact I don’t think I’ve really gotten around to doing such a thing since I was in the 8th grade at High School. That didn’t stop the boys at MacTalk sending me one to review though, which again -at first- seemed like a definite mystery to me too. 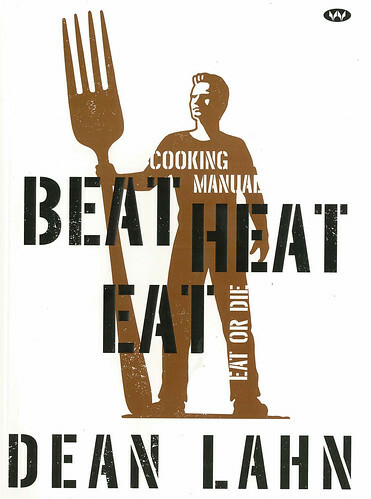 You see “Beat Heat Eat” is not your ordinary cookbook. It’s designed by a nerd and has a bunch of simple & tasty recipes for nerds. Seeing how I did at one stage co-host my very own Cooking Show and I am in fact a nerd (of sorts) it actually makes perfect sense that I should review the book after all. Isn’t it grand when everything just falls in to place?! So be sure to jump over to MacTalk and check out another of my wondrous articles that just have you feeling all warm and gooey like a Cadbury Creme Egg. Hmmmm….. Creme Egg……. Another day, another review written for MacTalk… but this time you’re in for a treat, it’s not just one item to satisfy your Apple accessory addiction, no this time I’ve written a big 2-for-1! 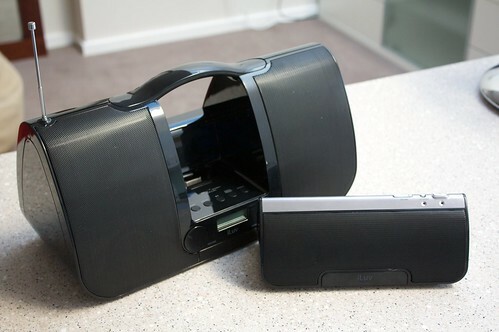 Jump on over to hear my thoughts on two of iLuv’s new iPod Audio Systems, the larger i552BLK â€œPortable Audio System with Radioâ€ and itâ€™s smaller cousin the i189BLK â€œStereo iPod Dock with 3D Soundâ€. It’ll be fun… I promise! 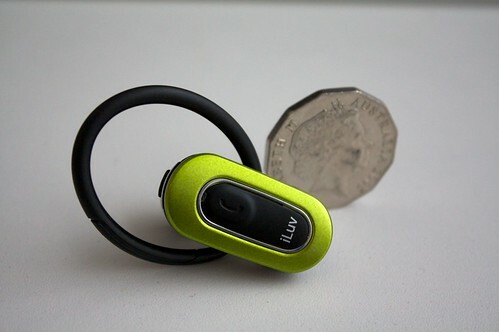 In my latest review for those happy chaps at MacTalk I tackle the new iLuv i316 Micro size Bluetooth Headset, which you’ll find distributed by iWorld Australia. She’s a little beauty and I do say “little” emphatically as you’ll notice it’s small size in the photo above. So head on over and check it out, if not for the article do it for these cool photos that I’m quite proud of if I do say so myself. Enjoy! The guys at MacTalk keep sending me crap to write about. Most recently it happens to be a USB webcam that you can plug in to your Mac or PC called the “Agent V4 HD“, something you probably surmised from the title of this post already. So if webcams are your thing and you’re in the market for one then it’s probably worth you jumping over to the article and taking a look see. In fact, even if they’re not I think you should take a look anyways if only to say hello to my lovely assistant Sooty! If wireless networking for legacy Macs is your thing, and I’m almost positive it is, then you might be interested in checking out a review of the Aeropad Mini from Macsense that I’ve written for MacTalk Australia. 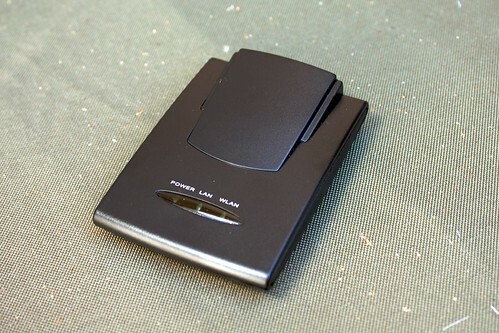 The Aeropad Mini is a nifty little device that plugs into your computer’s ethernet port enabling it to connect to any 802.11b/g network without any software needed to be installed. 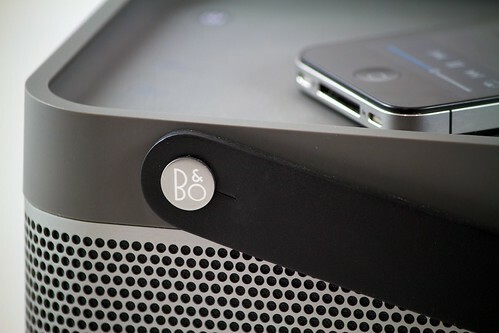 It’s a great solution for Mac’s in particular because 90% of the wifi USB devices out there don’t work on a Mac (or need a lot of screwing around). If this kind of thing floats your boat check it out here.